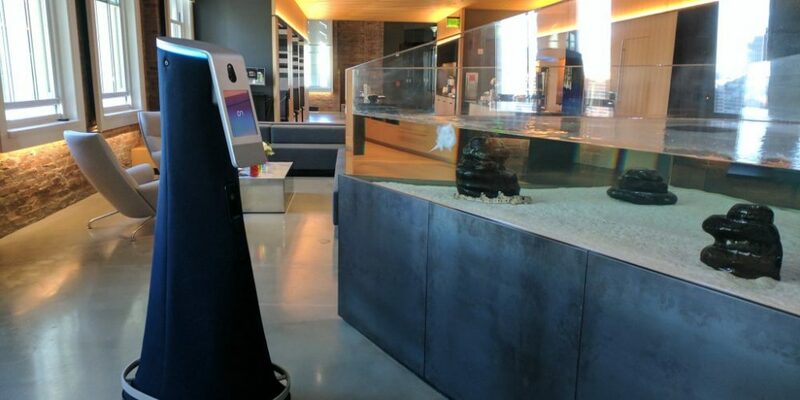 Cobalt Robotics creates indoor security robots. Credit: Cobalt Robotics. The first week of the month brought April showers, as well as artificial intelligence and robot funding. From logistics to aerospace, agriculture, and manufacturing, multiple industries stand to benefit from the latest deals. These robotics investments and more can be found in the RBR Transactions Database, which lets you sort deals by company, industry, technology, or transaction type. Don’t be all wet — let’s get to the roundup! One of the biggest moves this week was the $25 million investment in 6 River Systems for its logistics and order-fulfillment platform, affectionately named “Chuck” (after Boston’s Charles River). Menlo Ventures led the Series B round, with participation by Norwest Ventures, Eclipse Ventures, and iRobot. 6 River Systems said it plans to use the money to hire more employees and create a larger fleet of Chuck robots. Cobalt Robotics, a Palo Alto, Calif.-based creator of indoor security robots, received $13 million in Series A funding. Sequoia led the round, with participation from the Founders Fund, Storm Ventures, Promus Ventures, and Bloomberg Beta, among others. Cobalt said it plans to use the robot funding to expand into new cities, extend its engineering and operations teams, and bring the system to new markets. 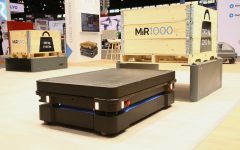 The company’s security robots take advantage of the latest autonomous vehicle, machine learning, anomaly detection and two-way telepresence technologies. They are intended to allow security guards to respond more effectively to situations from a remote location. Massachusetts-based Franklin Robotics said it received $1 million in equity funding, according to an SEC filing. The company develops a solar-powered garden-weeding robot named Tertill. After a relatively quiet period, machine learning and AI businesses raised more money over the past few weeks. Coveo received a $100 million investment from Elliott Management, which now holds a 27% stake in the Quebec-based AI company. The funding round was led by Elliott’s private equity affiliate, Evergreen Coast Capital. Coveo uses intelligent search and AI to personalize digital experiences for its users. It said it combines unified content, interactions, and machine learning to then deliver “relevant information and recommendations across every business interaction.” The company’s software is embedded in many business applications, including those from Adobe, Microsoft, and Salesforce. When most people hear about AI and the film industry, they think about movies like The Matrix or The Terminator, but one company is using AI to help filmmakers create their projects faster. Arraiy, a computer vision and machine learning platform, recently announced that it has raised more than $10 million in Series A funding. The investment was led by Lux Capital and Softbank Ventures, with new participation from Dentsu Ventures and Cherry Tree Investments and continued participation from IDG Capital and CRCM Ventures. Finally, WorkFusion raised $50 million in Series E funding, to help enterprises with their robotic process automation (RPA) efforts. Hawk Equity and Declaration Partners led the round, with a total investment level of $118 million. 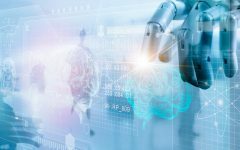 Previous investors Georgian Partners, iNovia Captial, and NGP Capital also participated in the latest robotics funding round. The company’s AI-powered RPA software “creates and manages software robots, which perform repetitive work,” automating high-volume processes for industries in the global banking, insurance, and healthcare markets. Internet of Things platform provider Particle announced it recently acquired RedBear, an IoT hardware company based in Shenzhen and Hong Kong, China. Founded in 2012, RedBear will add its “expertise in building Bluetooth Low Energy (BLE) and Wi-Fi-enabled IoT hardware” to Particle’s product line. In addition, Wind River, owned by Intel since 2008, announced it had been sold to investment firm TPG, returning to being an independent company. The company’s software helps run computing systems at manufacturing plants, as well as in medical devices, aircraft, railway infrastructure, automobiles, and communications networks. That’s it for this week. Stay dry, everyone!